The Hozac description was right – you can feel it in the welcoming hook that opens this 7″. Whether it’s those pulsing drums or the screeching guitar, Hether Fedewa and her WAX IDOLS made quite a convincing vinyl debut for us here. Now I wouldn’t know first hand, but going from recent things seen on Facebook, Fedewa seems like a pretty righteous person who says exactly what she’s thinking. For example, if you said Wax Idols had a “girl group sound”, Fedewa might be passionately distraught in her answer, and rightfully so! However, you don’t need Facebook to tell you she’s upfront, because you could figure that out easily enough through her heart-on-sleeve lyrics that she indeed speaks her mind. And we mean that in the most positive, commendable way possible. Fedewa confidently howls with authority on the A-side “All Too Human”, with sun-glistening guitar fuzz and that pulsing rhythm that bubbles beneath. This results in a blissfully intoxicating noise-pop nugget that’s bound to keep you coming back for third and fourth helpings no matter how hard you try and resist. But why would you resist anyway? Whoever first said resistance is futile, right now is a pretty accurate scenario, so good luck with that. We can’t help ya there. 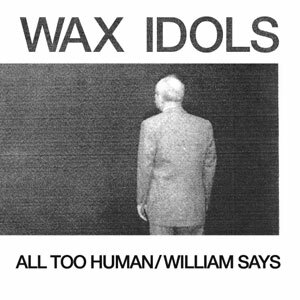 On the flip side, “William Says (Gooey Gooey)” is another we should be familiar with, because both of these tracks were previously released on the Wax Idols cassette from Psychic Snerts. “William Says” has an underlying menacing tone that darkens everything about the song and pushes you to the brink of insanity, from the punchy, cascading bass lines to the metallic guitar fuzz. All of these elements culminate into a sonically woozy breakdown at the end, with face-pounding drums and the feeling you’re lost in a complete and utter daze as everything around you crashes to the ground in a dusty rubble. So what are you to do when nothing else is left standing? Wait for the Wax Idols LP of course (which hasn’t really had any sort of confirmation, but it’s coming sooner or later)! BUY the 7″ directly from the Hozac store – 1st press of 500 ! 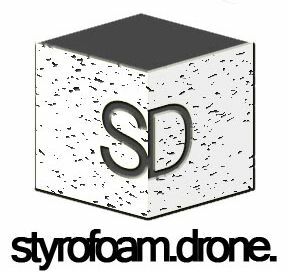 Posted on May 7, 2011 June 20, 2011 by styrofoamdronePosted in 7", Reviews, Still Spinnin'Tagged garage rock, Lo-Fi, noise rock, pop.